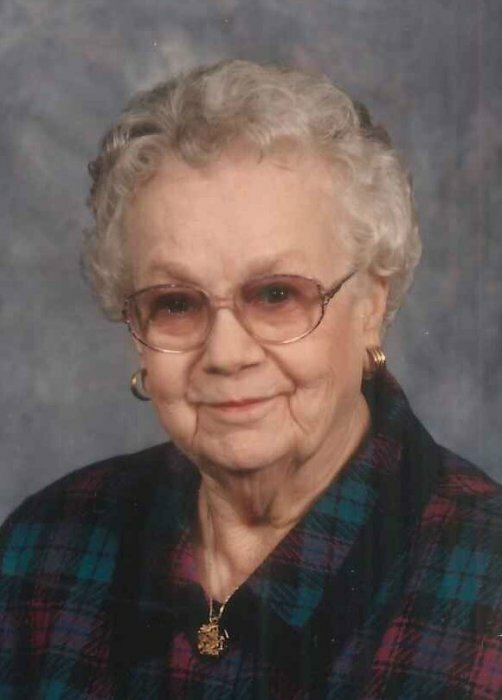 Obituary for Lorena Rose (Compas) Himmelsbach | McCombs Funeral Home Inc.
Lorena Rose Himmelsbach, age 98 of Morristown and formerly of Cape Girardeau, passed away Sunday, February 3, 2019 in Morristown, Tennessee. She was born July 6, 1920 to Benjamin and Sophia Scherer Compas of Benton, Missouri. She and Francis J. Himmelsbach married October 18, 1941 in Chaffee, Mo. She and Francis had been married 55 years when he passed away June 12, 1997. They were parishioners of St. Mary's Cathedral in Cape Girardeau for many years. Lorena loved gardening and quilting. She pieced and appliqued many quilts by hand, over the span of many years. She is survived by two children, Robert (Judy) Himmelsbach of Morristown and Dolores (Donald) LeGrand of Georgetown Texas; five grandchildren, Tara (Richard) Walker of Bean Station Tennessee, Amy (Alex) Fry of Maryville Tennessee, Amber Himmelsbach of Morristown, Laura (Jon) Sansone of Dallas Texas and Chris (Kay) LeGrand of Los Angeles California; five great-grandchildren, Mason and Colby Fry, Joshua Walker, Brian Sansone and Christopher Sansone. Also surviving is one brother, Arnold (Virginia) Compas of South Bend, Indiana. In addition to her husband and parents, Lorena is preceded in death by two brothers, Charles and Ervin Compas and a sister Lena Bucher. Visitation will be from 5-7pm Tuesday, February 12, 2019 at McCombs Funeral Home in Cape Girardeau. Parish prayers will begin at 7pm followed by the rosary. A Funeral Mass will be at 10 am, Wednesday, February 13, 2019 at St. Mary's Cathedral in Cape Girardeau. Burial will be in St. Mary's Cemetery in Cape Girardeau. In lieu of flowers, donations may be made to St. Mary's Cathedral Parish CCW or SEMO Food Pantry Charities.